Detox is produced by Yogi Tea (no, not the bear who steals sandwiches in the Hanna-Barbera cartoons from way-back-when, and Boo-Boo isn’t a silent partner). Situated in Hamburg Yogi Tea produces a range of healthy sounding teas, which I’ll be looking further into over the next few months. This Detox seemed a great place to start in January. 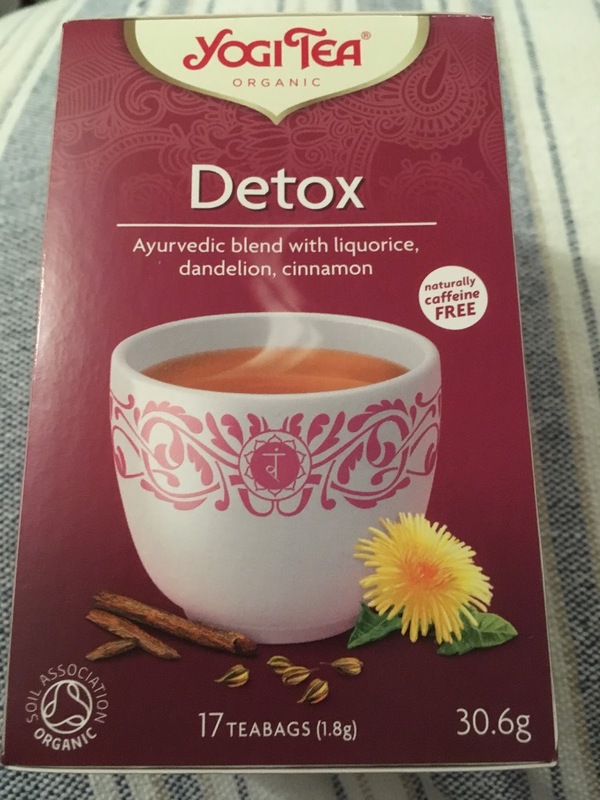 I can’t stop snacking (for the blog’s sake, of course), and I do go to the gym a lot to try to compensate, however, I can try to clean myself out a little with this Ayurvedic Herb and Spice Infusion, with liquorice, dandelion, and cinnamon. It contains ingredients that ‘stimulate digestion’ and ‘help detoxify’, which I’m hoping doesn’t mean acts like a laxative! The last time I mistakenly had some Chinese herbal tea concoction one January I don’t think I’ve ever experienced such a downwards motion before, and for several days from one cup of tea too! 17 teabag in paper envelopes. Ingredients are certified organic and included; liquorice (26%), cinnamon (17%), burdock root, ginger, dandelion (7%), fennel, anise (3%), juniper berries, coriander, cardamom, black pepper, parsley, sage, cloves, and turmeric root.